Background: Inter-spousal communication plays a crucial role in facilitating couples for adopting family planning practices and lowering the risk of early pregnancy and adverse reproductive health consequences. 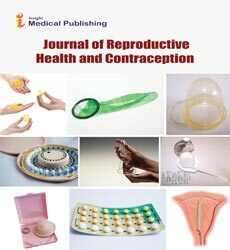 The present study was conducted to understand the effect of a community based intervention package on awareness and motivation for contraceptive use to delay pregnancy among young married couples through improving intra-spousal communication. Methods: A quasi-experimental research design used for a sample survey of 1680 young married women from two districts of India. The program was developed and implemented to increase knowledge and access to services for improved sexual and reproductive health of young married women through a multi-pronged intervention involving community mobilization, advocacy, micro planning and capacity building of frontline functionaries and district health care providers. The effect of intervention on the reproductive health of young married women was assessed through baseline and end-line evaluation.